Daniel Sturridge breaking out into a sprint at one point in Saturday’s 2-1 win over Stoke was truly a great sight. His 20 minute cameo didn’t quite match the impact that goalscorers Philippe Coutinho and Roberto Firmino had but it certainly played a part in Liverpool’s second half revival. The through ball he played to Firmino in the build up to Coutinho’s equaliser was an example of not only the quality the team had been missing up until that point but also the quality he can provide until the end of the season. Within two minutes of coming on, he had made a game-changing impact and already staked his claim for a start in Liverpool’s next game. The availability of a healthy Sturridge must be difficult for Jurgen Klopp to overlook normally, never mind amidst the team’s current injury crisis. He looked sharp, full of energy and still as intelligent as ever on the ball. His tendency to drop into deeper positions granted his team more creativity and gave Stoke a fresh problem to deal with. Regardless of what decision is made on his future in the summer, he can still play a significant part between now and the end of the season. A number of Reds rightly took to social media to praise the England forward for his cameo. Mignolet, Bobby n Couts dominate the TL n deservedly so.Lets not forget Sturridge’s runs that were instrumental to both @LFC goals. 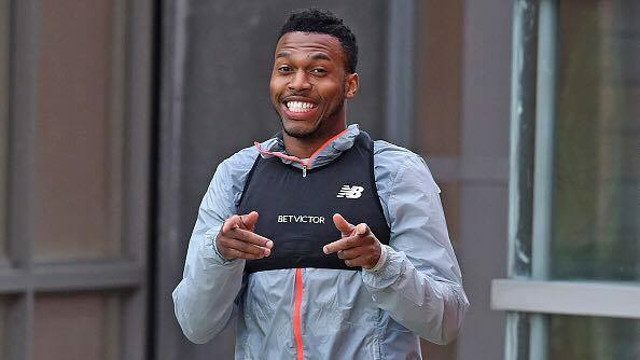 Good to see Sturridge back on the pitch. Incredible flair for creating chances and goals. Was really nice seeing Sturridge back today actually. He’s another option and a good one at that. If sturridge stays fit, he’s got to play now. he looked sharp and even chased down a ball. his stay movement on the last man was good too.